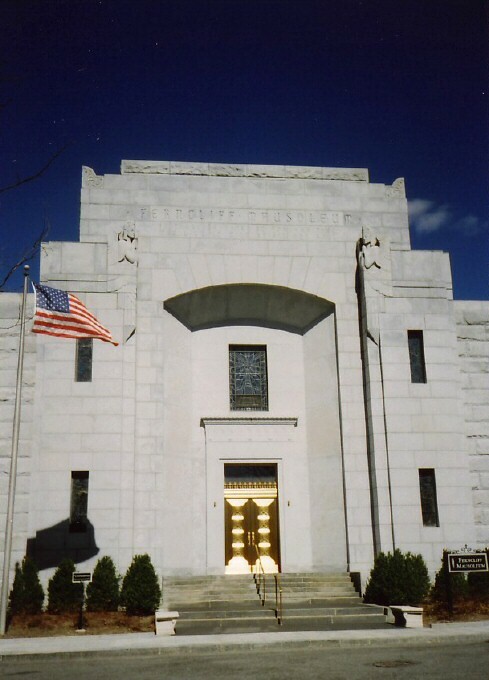 I visited New York City March 22 - 25th, 2006, and on Joan's birthday, the 23rd, travelled by train out to Hartsdale (@ 40 miles north of NYC), where Joan is interred at the Ferncliff Mausoleum along with her husband Al Steele. Back in NYC later that evening, I attended a showing of "Berserk" at the Chelsea Clearview Cinema, along with other Joan fans. Here are 3 photo-pages of what I saw and did on Joan's birthday 2006. The Hartsdale train station. 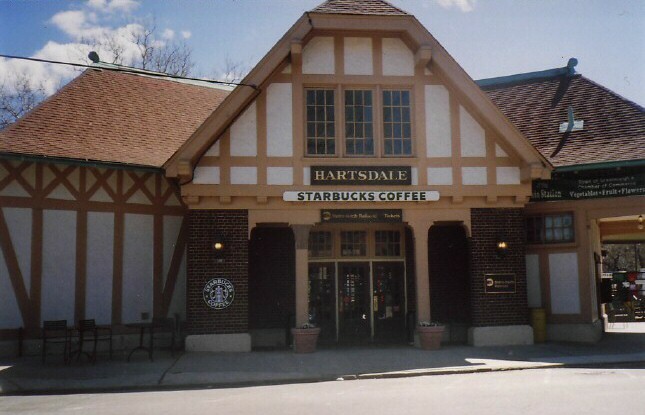 The trip to Hartsdale took about 40 minutes from Grand Central Station in NYC (the Harlem Line). 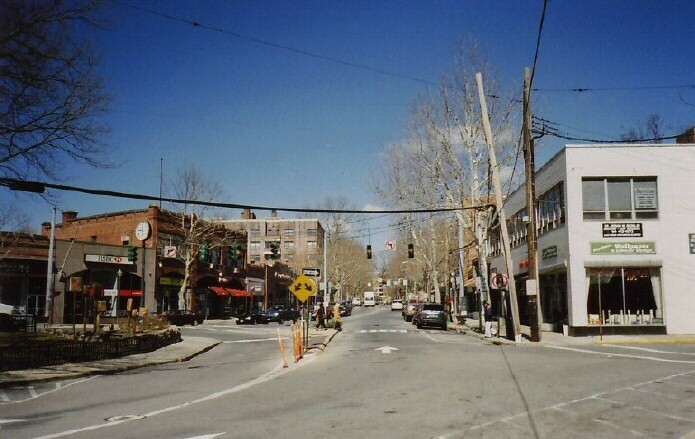 A view of downtown Hartsdale, heading from the train station toward Ferncliff. (Cabbies hang around the train station, and I found a cab immediately after my arrival. My cabbie alarmed me, though, when he said re Ferncliff, "It's quite a drive out theah. It's in a really rural areah." Being from Texas, "rural" meant to me "20 or 30 miles out of town" and I kind of got nervous about what the impending fare might be. It turned out, though, that "rural" in this case meant... only about a mile!) While the weather in both the city and surrounding areas had been a cloudy, blustery, chilly 45-ish on the 22nd when I first arrived in town, by the 23rd the sky was a gorgeous crystalline blue and the temperature lounging moderately in the low 50s--perfect for enjoying my train trip and the picturesque Hartsdale environs. 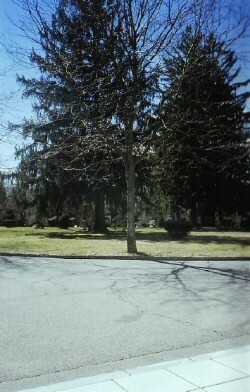 The Ferncliff Mausoleum, where Joan is interred. 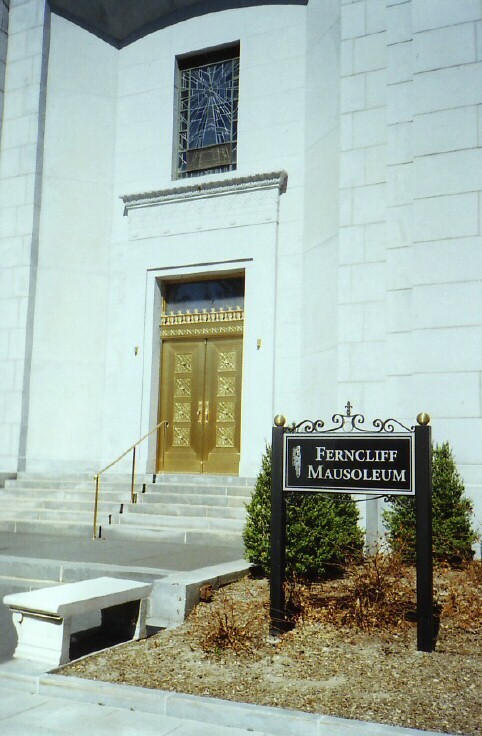 Closeup of the Ferncliff Mausoleum entrance. 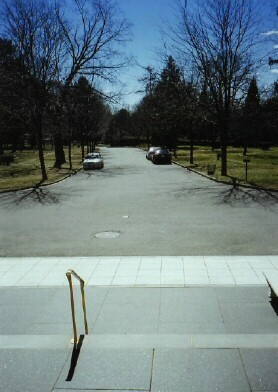 Two views of the Ferncliff Cemetery, from the steps of the Mausoleum.